Insight China is a prestigious project in its 18th year at the University of Applied Sciences and Arts Northwestern Switzerland (FHNW) and offers ambitious students the opportunity to gain insights into China’s cultural and economic diversity. By promoting exchange between professionals and students, both sides benefit from each other through the combination of theory and practical experience. The aim is the transfer of knowledge between the delegation of students and the companies that are involved in the project to create and strengthen the foundation of doing business in China. 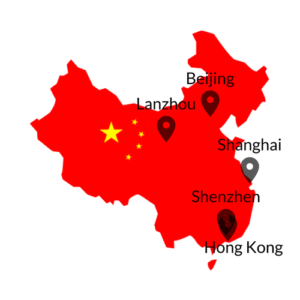 Insight China consists of three major parts: The Preparatory Seminar, the On-Site Seminar and the Final Event. Each of the Milestones has its own aims but all stand in the overall framework of broaden the participants’ horizon in terms of knowledge transfer between theory and practice. The Preparatory Seminar, taking place at FHNW in Brugg, will not only be about “Business in China” and what to consider in terms of Chinese culture but it is also focused on this year’s topic “40 Years Opening and Reform in China”. In order to reach these objectives, exclusively selected speakers from various business fields will offer a thourough introduction to life and work in China. All delegation members must attend the Preparatory Seminar. On the last day of the Preparatory Seminar, partners get the chance to present themselves to the students. In addition, speed-interviews will be conducted where future graduates and potential employers immediately can consider their matches or gain valuable contacts for future reference. The second part of the project takes place in different metropolises in China. The whole delegation of about 30 students as well as several university lectures will attend the On-Site Seminar. The study trip mainly focuses on transferring knowledge between senior executives, government officials, Chinese universities and FHNW students. This will be achieved by visits of companies, public institutions as well as universities. Regarded as an outstanding journey, it is a must for everybody who seeks to broaden one’s horizon in a unique manner and who would like to discover China’s economic and cultural diversity. In order to reflect on the learnt lessons and digest the impressions of the Preparatory Seminar and the On-Site Seminar, a Final Event will take place in Olten. Insight China as well as its partner projects will present their insights and experiences.